Home security in America, is an issue. Burglaries and other crimes related to the home are on the rise, and few people know where to look for effective suggestions on how to protect their homes from intruders. As a licensed, bonded, and insured security system company, King Locksmith and Door is dedicated to giving you real-life suggestions that will help you keep your home, and your loved ones, safer. Read this list compiled by my employees — who have 5 years experience as mobile locksmiths in the Maryland, Virginia, and Washington, D.C., areas — to learn the top 10 tips to make your home secure. It is always a good idea to have a locksmith come out and do a lock rekey or a lock change on all of your doors every few years. This helps lessen the risk of a stranger having a copy of your key, and gives you added comfort in knowing that you are the only one with access to your home. Many homes that are burglarized are chosen because thieves can see what you have inside your home. If you have items of value lying around, and a thief suspects you are not home, there is a higher chance of a breaking-in. The best way to deter this behavior is to simply ensure that you draw your curtains before leaving your home and before you go to sleep. Teach your children and your significant other to do the same. Doing so will help make this a habit that is enforced by the whole family. While it may cross your mind to procrastinate on repairing broken locks, time is of the essence in this case. 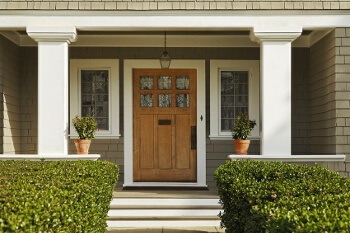 Locks are the first step of defense when securing your home. Finding a licensed, bonded, and insured locksmith company like mine to come out to fix your locks is crucial, as you need the lock repaired right the first time. Make the appointment to have a local company come out as soon as you realize the lock is broken. For broken lock and home security in Maryland issues, this is best done by surfing the internet and checking reviews before settling on a company. Keyless entry, which requires a magnetic strip on a card or a code punched into a pad, is one of the most secure ways to keep intruders out. Because there is no keyhole, would-be thieves cannot jimmy the lock to get inside, securing your home. And, as part of a comprehensive security system, keyless entry locks can also keep burglars out of gun cabinets, safes, and anywhere you may keep your valuables. High-Security Locks are not just meant for your front door anymore. They are perfect also for safes and gun cabinets. These locks can deter further theft, because a thief may not want to have to go through two locks just to get to your valuables. A safe is second only to locks in the security of your home. From personal and financial documents to precious heirloom pieces of jewelry, a safe is the best way to lock them out of sight and away from prying eyes. It is more popular to have one installed in a wall or closet because it makes it more difficult for a thief to take the safe with them to open at another location. CCTV cameras are quickly becoming common in many homes, and not just because they record everything that happens. When a thief notices these cameras set up outside of your home, they are more likely to move on to another house that does not seem so secure. Many times, people forget to secure their garages along with their homes. But unsecured garages can give thieves access to your car and other valuables. Consider replacing your locks, and adding more security features in your garage to keep your vehicles safe. Even if you feel like you do not need to, dedicate time to having a locksmith come out once a year to do a security check on your home. This is the best possible way to avoid problems in the future and allows for professionals like me to come in and give you pointers on how to secure your home even further. In the Maryland, Virginia, and Washington D.C. area, changing locks and rekeying a safe is something of a priority. Having a relationship with a locksmith you trust can go a long way in ensuring that all of your needs are met by professionals who understand you and your home. At the end of the day, a secure home is a happy home. And with the help of a company like King Locksmith and Door, you can feel safer in your home, starting as soon as you talk with one of our experienced professionals about a free consultation or a security inspection. 10 Security Tips to Make Your Home Safer https://kinglocksmiths.com/10-security-tips-to-make-your-home-safer/ Sorry, this post does not have any ratings yet.